The American Heritage Series line of laminated asphalt shingles is recognized throughout the industry for quality in appearance and performance. Heritage Series shingles come in a variety of color options, including traditional Heritage Classic Colors or vibrant America’s Natural Colors® designs. 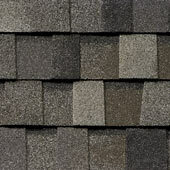 These attractive shingles simulate the rustic, dimensional look of wood shakes, without wood’s high cost or safety concerns.Our unique Shadowtone granule blend gives them extra richness and depth. Their random-cut sawtooth design prevents the unsightly zipper patterns common with many other laminated shingles.And the extra-thick weather resistant construction provides years of performance for your home’s protection. These attractive shingles simulate the rustic, dimensional look of wood shakes, without wood’s high cost or safety concerns. Our unique Shadowtone granule blend gives them extra richness and depth. 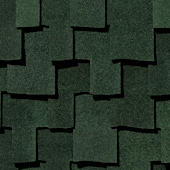 Their random-cut sawtooth design prevents the unsightly zipper patterns common with many other laminated shingles. And the extra-thick weather resistant construction provides years of performance for your home’s protection. 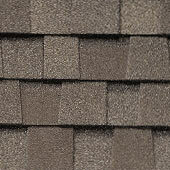 The elegant and dimensional appearance of Heritage® Series shingles adds incredible beauty and curb appeal to any home. Heritage XL is another Heritage look that will earn the admiring glances of all those who experience it. 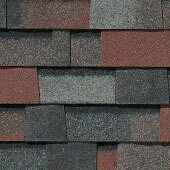 Heritage XL shingles feature a wider-cut tab to create a truly unique look with expansive beauty and color.